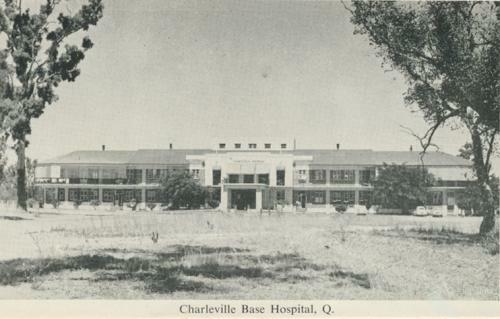 Toowoomba Hospital, 1959. 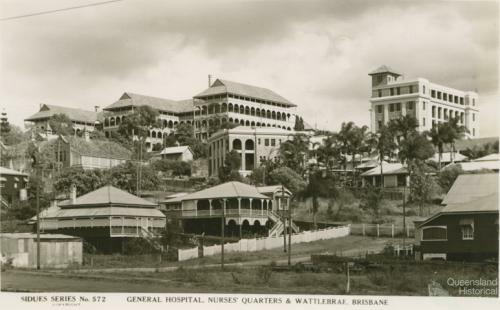 Slide by Heatherbell Mellor, Collection of the Centre for the Government of Queensland. 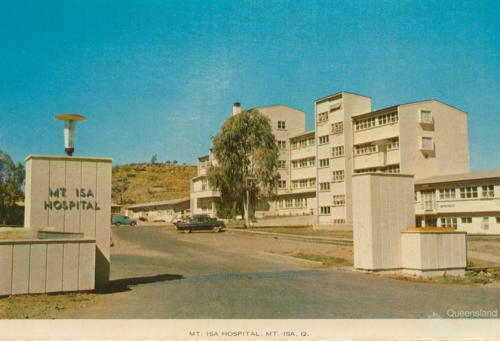 Mount Isa Hospital from lookout, 1960. 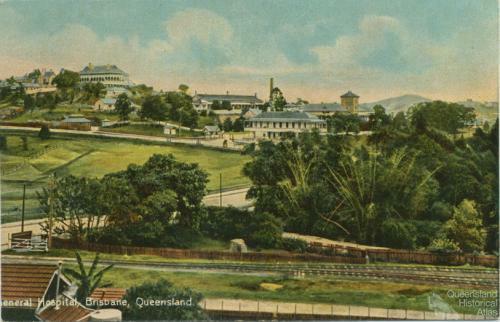 Slide by Edward Robertson, Collection of the Centre for the Government of Queensland. 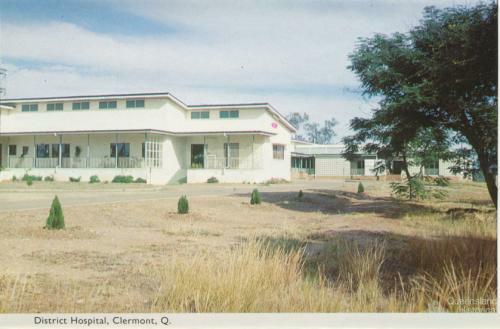 Outback hospital, Forsayth, 1971. 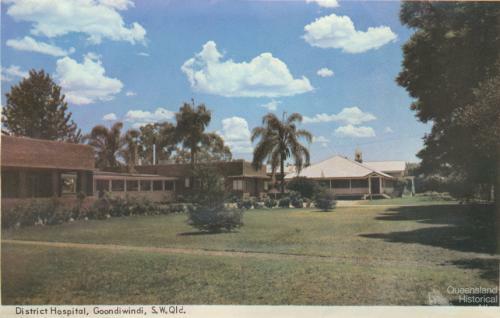 Slide by Dennis Costigan, Collection of the Centre for the Government of Queensland. 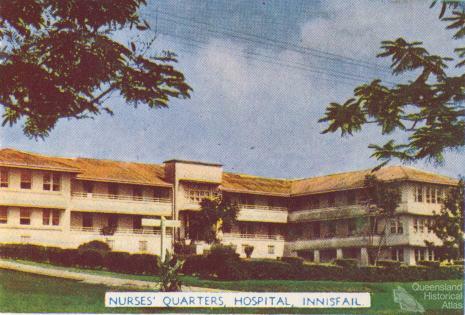 Ayr District Hospital, built in 1945, c1958. 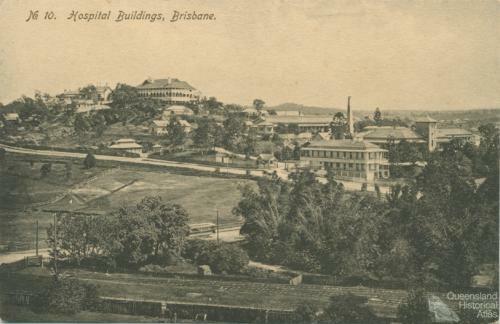 Slide by Beth Snewin, Collection of the Centre for the Government of Queensland. 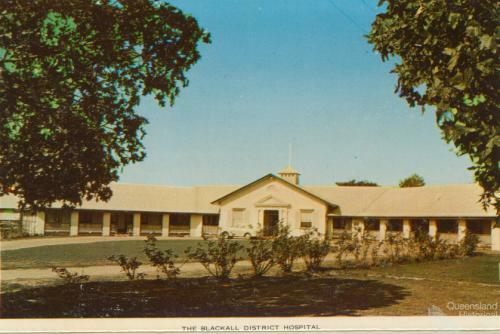 St Martins Hospital, Ann Street, Brisbane, 1972. 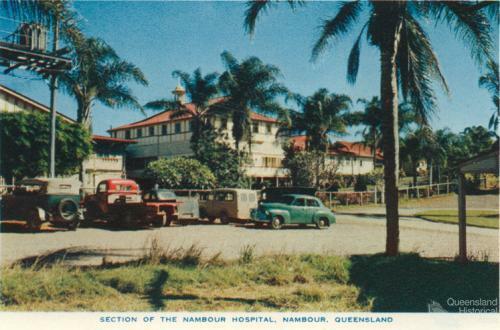 Slide by Allan Webb, Collection of the Centre for the Government of Queensland. 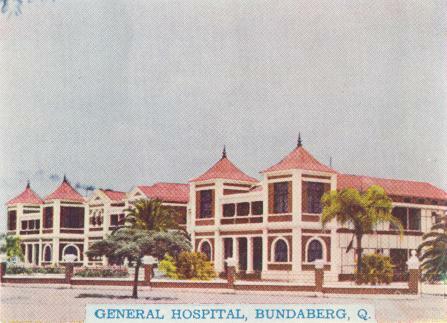 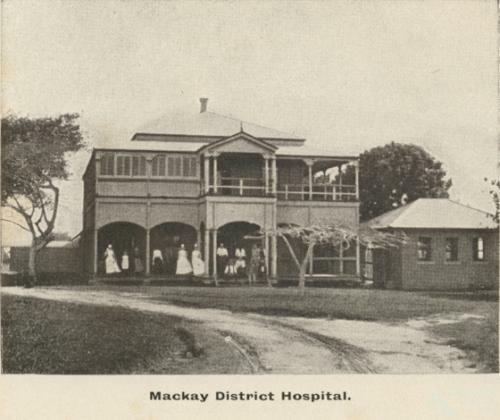 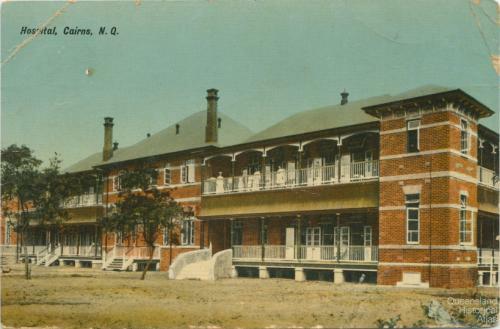 Hospitals were often sited on the outskirts of towns and cities in Queensland, clearly separating the ill from the healthy. 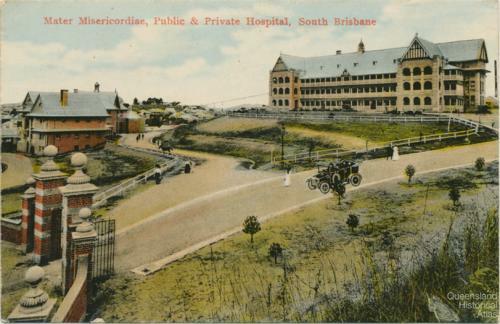 The general hospital in Brisbane was moved from the government precinct in George Street in the city to the suburb of Herston, some kilometres away along a barely made road. 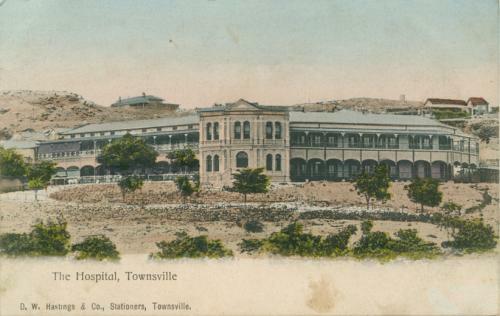 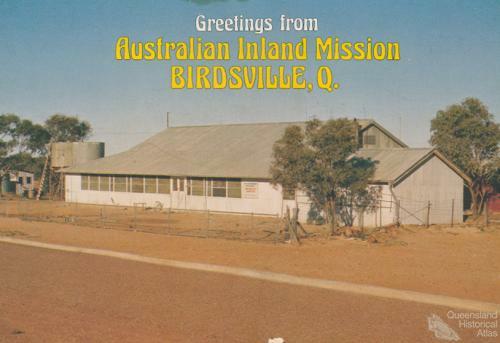 Postcards from the Collection of the Centre for the Government of Queensland.